Best known as one of the Fashion Capitals in the world and often overlooked, Milan has a lot more to offer and is also a perfect gateway to explore enchanting spots a stone-throw from the city. 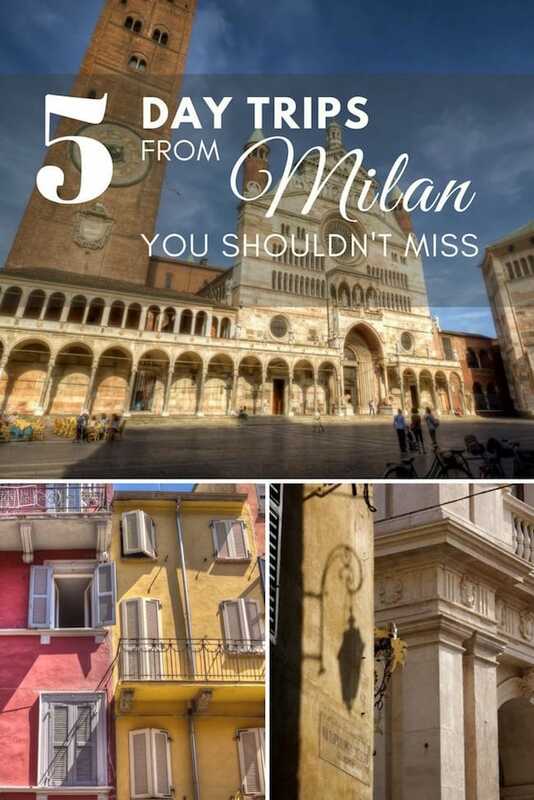 Whether you like small charming towns, the lakes, or art cities, there are many beautiful day trips from Milan you shouldn’t miss. 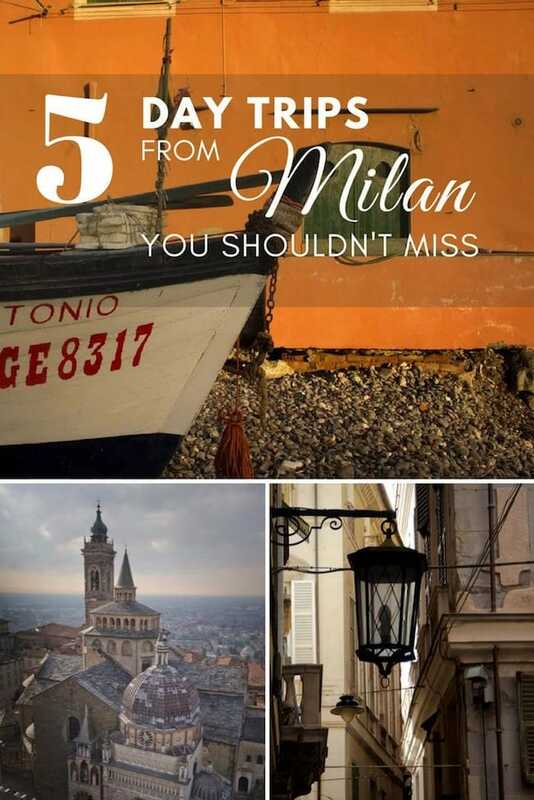 I picked up gorgeous places you can easily reach from Milan by train (read about How to save money on Italian trains), so forget the car, traffic, and the stress to find a parking place. If you’re passionate about classical music and violin, chances are that you’ve heard of Cremona, the city of Stradivarius and other famous luthiers. The tradition of violin making is well alive, and the city boasts over 200 workshops, many of which can be visited to get an overview of this fascinating art. The heart of the city is the medieval Piazza del Comune, the main square showcasing some of the finest examples of Romanesque and Gothic architecture. Don’t miss the cathedral, with its exquisite facade, the bell tower (Torrazzo) built in bricks, and the octagonal baptistry. On the opposite side, the beautiful town hall with its decorated vaults, where an al fresco café is a perfect place for a drink with magnificent views. Cremona also hosts the newly refurbished Violin Museum, a journey through the fascinating history of violin across the centuries, culminating in the Treasure Box, the room housing some of the best (and most expensive) masterpieces of all time. 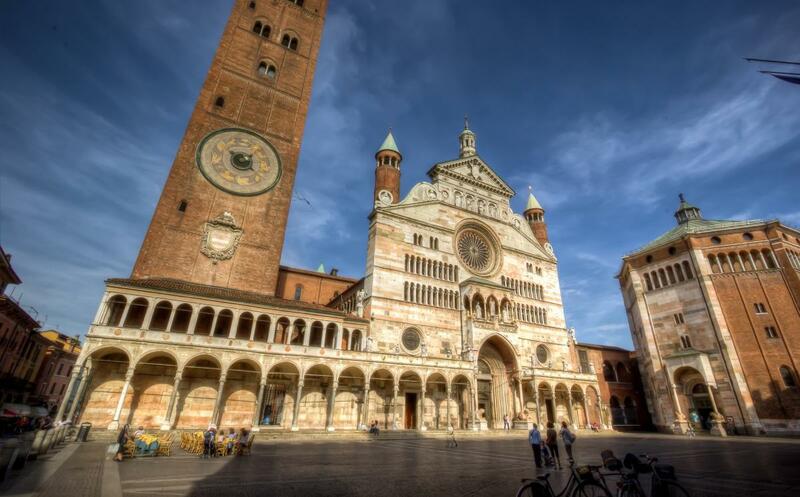 Cremona is a great day trip from Milan if you like charming towns, music, and art. Tip: Avoid Mondays if you plan to visit the Violin Museum. How to get to Cremona from Milan: Direct regional trains connect Milano Centrale to Cremona every other hour (1h 6 min). Lake Garda has been a favorite destination for Germans since long ago, but to tourists from the UK and the USA, it is lesser known than Lake Como. Truth is that Lake Garda is every bit as beautiful, even without… George Clooney (who, by the way, is not easy to spot when staying at his villa on Lake Como). Sirmione is considered a gem of Lake Garda’s southern shore, whose beauty was appreciated by writers, poets, and artists like Goethe, Stendhal, Lord Byron, D.H. Lawrence, Gustav Klimt, Maria Callas. Picturesque and romantic, Sirmione seems far away from the hustle-bustle of Milan. Visit the famous Scaliger Castle, dating back to the 13th Century, admire the Catullo’s Caves, the remains of a Roman Villa overlooking the lake’s blue water, get lost in the alleys lined with colourful houses, indulge yourself at one of the al fresco cafés and simply chill out in this enchanting spot of Lombardy. 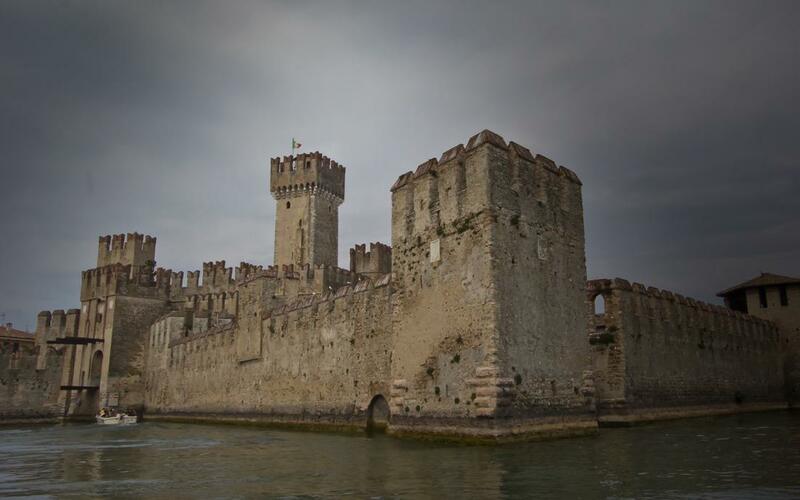 Take a day trip to Sirmione from Milan if you’re looking for a romantic spot on the lake shore. Tip: If possible, avoid the weekend when Sirmione is jam-packed with tourists. Hot to get to Sirmione from Milan: Frequent trains connect Milano Centrale to Desenzano-Sirmione (Frecciabianca 1h, Regional 1h 25min). From Desenzano, you can reach Sirmione either by bus or by boat (about 20 min for both). Colourful houses, magnificent monuments, and delicious food: this is the essence of Parma, an elegant city that will immediately catch your heart. There’s a lot to see and do, so here are my favourites: get lost in the alleys of the old town, lined with lovely pastel-coloured houses, visit the Cathedral and the Baptistery, both medieval masterpieces, and the Teatro Farnese, a wonderful little theatre totally built in wood, dating back to the early 17th Century. Buy a souvenir or a gift made from violet, the flower which is the symbol of Parma and is used to produce perfumes, cosmetics, and candies. Parma has some of the most delicious and mouth-watering food specialties in Italy: Parmigiano-Reggiano (cheese), Prosciutto di Parma (ham), home-made pasta and stews. 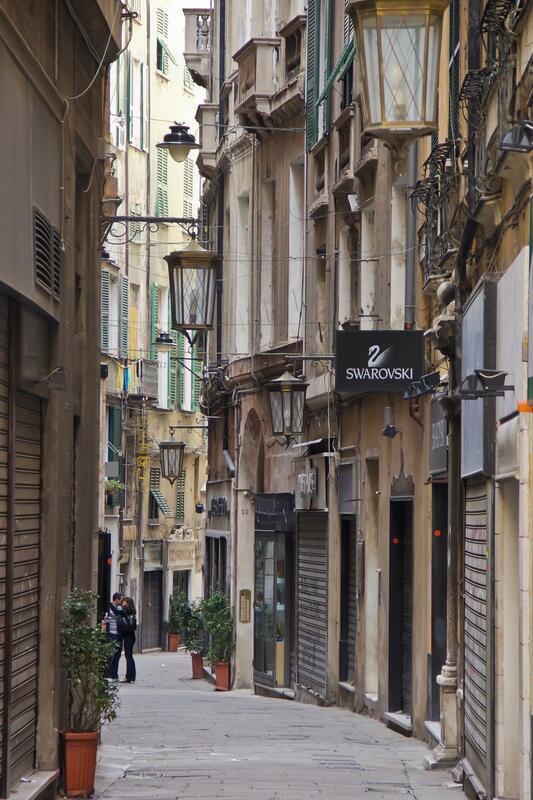 Don’t miss to spend a day in Parma if you crave for amazing food in a charming small city. Tip: You’ll find good food everywhere in Parma, but if you look for a typical Trattoria serving delicious dishes at fair prices don’t miss the Trattoria Corrieri. Getting there: There are trains almost every half an hour connecting Milano Centrale to Parma (Frecciabianca 1h 10 min, Regional 1h 35 min). 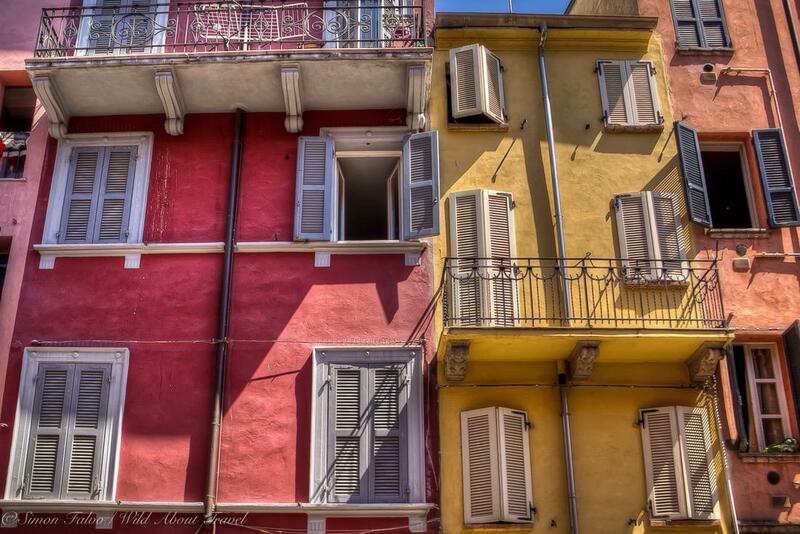 If you’re keen to breathe the sea, don’t miss an excursion to Genoa. Stroll in the picturesque narrow alleys (caruggi) near the harbour (be careful with your belonging, though), take a tour of the Palazzi dei Rolli, the magnificent palaces showing the city’s past splendours and a UNESCO World Heritage Site, enjoy Boccadasse, the old fishermen’s’ neighbourhood with its typical coloured houses nestled on a cove. Don’t miss to taste the local food specialties like focaccia (a flatbread baked in the oven), trenette or trofie with pesto sauce, or cima alla genovese (veal meat filled with vegetables). An easy day trip from Milan if you want to explore a lesser-known and beautiful city in northern Italy. Tip: Genoa offers many attractions for families, including the Aquarium (the largest in Europe), the Città dei Bambini, an interactive museum for kids between 2 and 14. Getting there: Frequent trains connect Milano Centrale to Genoa (Intercity/Frecciabianca 1h 30min, Regional 1h 50min). Perched atop a hill, Bergamo old town is one of the most enchanting spots in the Lombardy region. A cable car (or, if you like to walk, a pretty footpath) connects the lower city to the historical center, a medieval town surrounded by walls built in the 16th Century. Cobblestone streets flanked by old buildings and elegant shops lead to the city’s main attractions: the old square (Piazza Vecchia), Palazzo della Ragione, the former town hall now a museum, the Colleoni chapel, a magnificent Renaissance building beautifully decorated, the Citadel square (Piazza della Cittadella), with the medieval tower and the Visconti Palace. 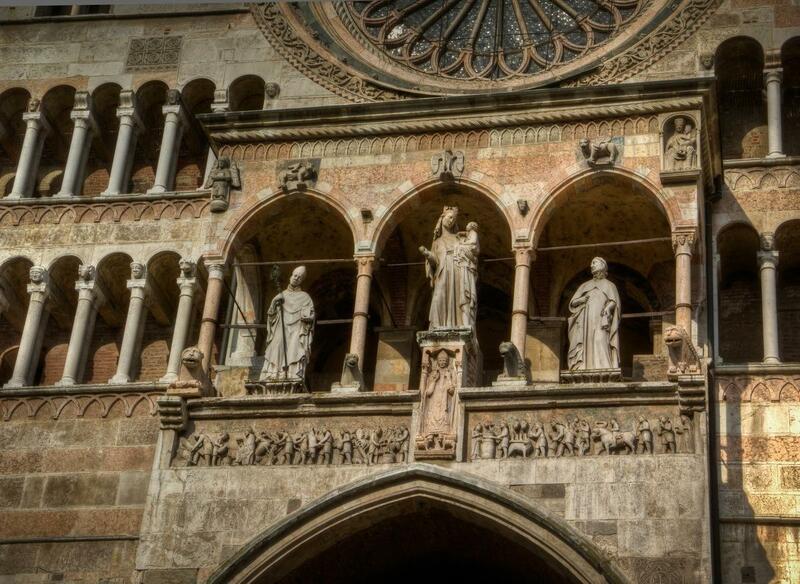 A day trip to Bergamo is a must-do if you want to visit a stunning and romantic medieval city. 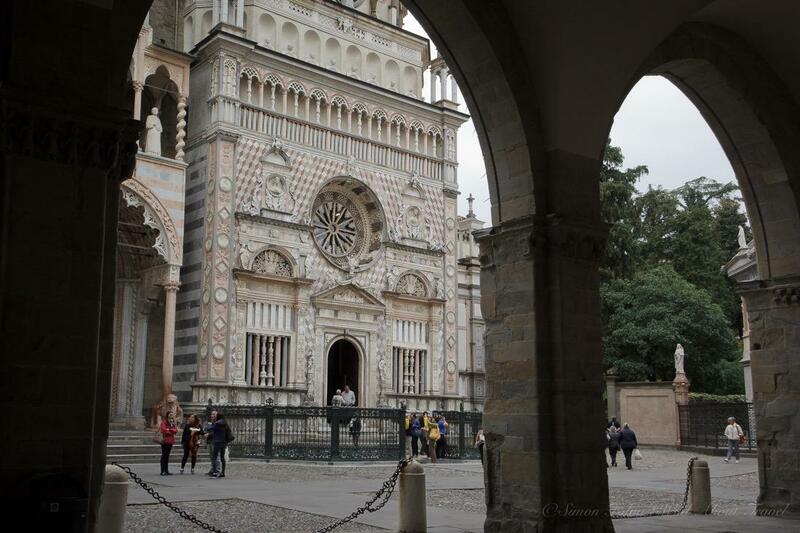 Tip: Bergamo is a popular spot for weekend excursions so better avoid Saturday and Sunday if you wish to beat the crowds. Getting there: Regional trains connect Milano Centrale to Bergamo every hour (journey 50-55min).